Coalition Re-Elected Despite its Assault on Civil Liberties. So What’s Next? NSW has spoken. And at the polling booths the collective said that what it wants is another four years of the fun police. 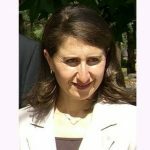 Premier Gladys Berejiklian is back with a majority, which means a resounding no to festivals, no to the night time economy and a “just say no” to drug decriminalisation. It’s been five years since former Liberal premier Barry O’Farrell slammed the door on the nightlife of Sydney city, turning the streets into desolate areas, perhaps less safe than they were back in the crowded days of the one punch tragedies. 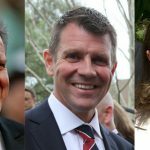 Despite many putting the crusade to keep Sydney open front and centre of the election debate, it seems that NSW is now an entrenched nanny state, with overly prying politicians whittling away at one freedom after another. But, who quite knows what will be the next target on the Liberal Nationals agenda, as surely nobody could have foreseen that they’d attempt to shut the music festival industry down, after they’d already destroyed the night life in the centre of a once internationally renowned city. And all the while commuters ride the trains home at the end of days wondering if it will be their station next on the hitlist. And as they disembark, a drug dog will indicate them, and some officers will ask them to remove their clothes, just to be sure that they don’t possess any illegal drugs. 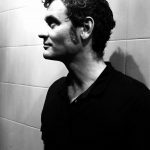 Some of the more baffling incursions into the state’s heavily embattled night time economy can be found in the NSW Legislative Council’s Music and Arts Economy in New South Wales report that was released in November last year. One of the case studies the inquiry delved into detailed the conditions that were part of the liquor licence of Japanese-themed Surry Hills bar Goros, which “cannot operate a dance floor with mirror balls”. Liquor and Gaming NSW told the inquiry it rejected the idea that mirror balls were banned, although it conceded there were conditions that could lead to an assumption they were, noting that no DJ style booth, disco lighting systems or dance floor area could be utilised in the premises. In response to questions on notice asked at the inquiry, assistant commissioner Mark Walton said that mirror balls as a venue decoration are no problem in themselves. “However, the installation of a mirror ball implies an intent to provide a dancefloor”, which would need DA approval. And then there was the ban on rock music at the Terrigal Hotel. In 2013, at the time O’Farrell was still in power, the hotel breached this licensing condition on numerous occasions, prior to being prosecuted for 15 breaches in the NSW Local Court. The case then went to appeal in the District Court. The pub pleaded guilty to one breach of the no rock music condition and the 14 other matters were dismissed. Australian Hotels Association NSW liquor and policing director John Green told the inquiry the case “wasted a lot of judicial time”. 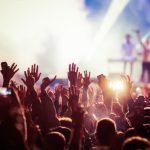 While in response to a question, NSW police assistant commissioner Walton explained that the license condition has since been altered, so that it reflects noise emanating from the venue, rather than a genre of music being played. However, it’s not the only time NSW authorities have taken aim at one type of music. And indeed, since the time of the music and arts economy report, the Coalition tried to impose a licensing scheme on the whole of the NSW festival industry, only to fumble the ball at the last minute. Following two drug-related deaths at the Defqon.1 festival last September, Berejiklian established an expert panel to investigate safety at events. And when it released its seven recommendations, one concerning a festival specific licensing scheme initially flew under the radar. But, by January, it had become apparent that the state government that was not prepared to follow the advice of medical professionals and implement pill testing to improve safety, was rather intent on bringing in an overbearing licensing regime with the potential to cripple the industry. A few festivals were forced to close due to the new restrictions and costs, while Bluesfest announced it could be leaving the state. And then the Don’t Kill Live Music rally took place in Hyde Park, letting Gladys know that the industry wasn’t going to take it. And a week before the regime came in, the government explained it now only applied to 14 “high risk” festivals. As Keep Sydney Open’s Tyson Koh remarked at the time, these were the festivals they wanted to censor all along. And the target genre this time was “electronic dance music”. And one of the most insidious other means of closing down, or merely stifling, festivals has been the increased user pays policing fees that the NSW Police Force has been charging events for the use of off-duty, uniformed officers. As Rabbits Eat Lettuce director Erik Lamir-Pike told Sydney Criminal Lawyers last November, NSW police hit his 3,000 person festival Bohemian Beatfreaks with a close to $200,000 users pays bill, after the initial quote was for around $16,000. SBS News revealed on Tuesday that NSW police has racked up almost $13 million in revenue via this practice over the first seven months of the year 2018-19. The news service obtained these figures via the provisions of the Government Information (Public Access) Act 2009. Not only is this tactic a good little earner, but it’s worked to get rid of events that somebody in charge has decided they don’t want around. Bohemian Beatfreaks was sent backing over the border into Queensland. While in mid-February, Psyfari announced it was closing citing new rules and costs. And then Mountain Sounds had to close down just a week out from the event, as they were hit with a similar $200,000 policing bill.